A federal judge Tuesday ruled against the proposed union between Advocate Health Care and NorthShore University HealthSystem, leading the two hospital systems to announce that they will not continue their merger effort. "We have determined with the Advocate Health Care leadership that the time, cost and uncertainty of pursuing any additional appeals would not be worthwhile," NorthShore CEO Mark Neaman wrote in a Tuesday afternoon memo to employees. Advocate CEO Jim Skogsbergh released a similar statement, writing that the hospital system "pursued this merger because it aligned with our mission and values to advance care and lower costs for the patients." U.S. District Judge Jorge Alonso granted the Federal Trade Commission and state of Illinois' request for a preliminary injunction to temporarily stop the merger while the commission holds administrative proceedings on the matter. The ruling, filed under seal to give all parties time to request redactions of sensitive material, reverses Alonso's earlier decision. After the FTC sought to block the merger in December 2015 with a preliminary injunction, the judge sided with the health systems. The FTC appealed, and in October, the 7th U.S. Circuit Court of Appeals sided with the FTC and the state, ruling that Alonso's decision not to halt the union over antitrust concerns was “erroneously flawed.” The court sent the case back to Alonso to re-evaluate the FTC's injunction request. 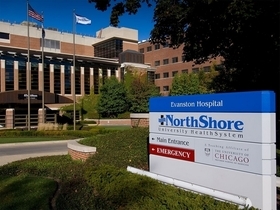 Throughout their attempt to persuade Alonso to support the merger, NorthShore and Advocate argued that joining forces would lower prices for consumers by creating renewed competition among insurers competing for the hospitals' business. The FTC disagreed, stating that any savings would be short-term and that consumers would ultimately pay more for health care.